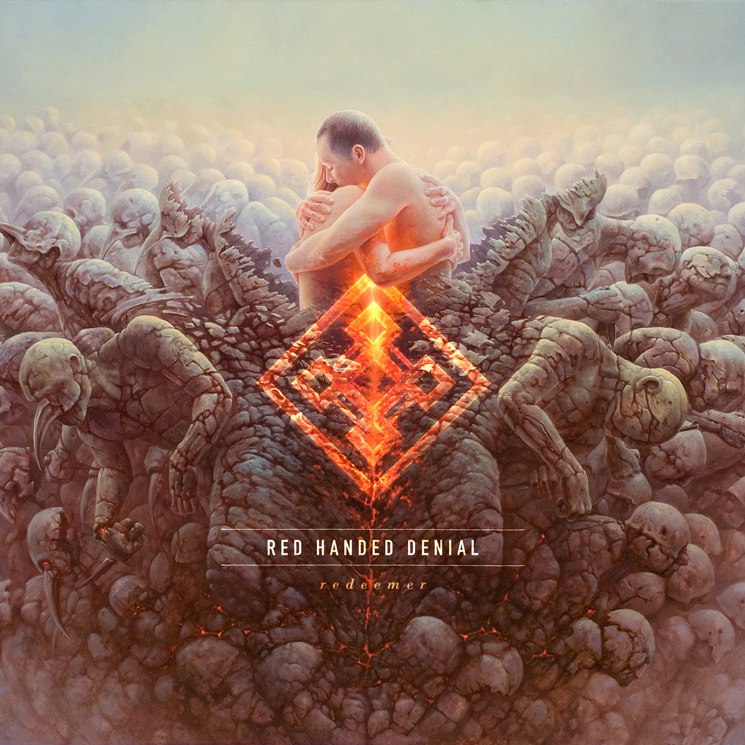 Just shy of three years removed from sharing their Wanderer EP, Toronto metal outfit Red Handed Denial have detailed a full-length follow-up effort. Titled Redeemer, the 14-track album is set to land March 29. The full-length is said to continue the conceptual narrative that began with the aforementioned Wanderer, "the conclusion to the epic tale of the anti-hero's journey as they wander through limbo seeking passage into the afterlife." An album trailer can be found following the tracklist below, complete with a preview of each song on the disc. Redeemer is available for pre-order/pre-save here. Redeemer was produced and engineered by Michael Evola of Träumen Sound and mixed/mastered by Lee Albrecht. The album's artwork comes courtesy of Tomasz Alen Kopera.